Phyn, a joint venture between industry giants Belkin International and Uponor, a leading supplier of plumbing for residential and commercial spaces worldwide, is bringing home water use into the digital age with the debut of Phyn Plus, smart water assistant + shutoff. Phyn Plus is a smart water monitoring system that protects families and their homes from leak damage with unmatched accuracy and reliability. In the U.S., more than a trillion gallons of clean water get wasted through leaks every single year. * Homeowners are often alerted to leaks and water damage days or weeks after it has started, which is too late and can be both costly and traumatic. 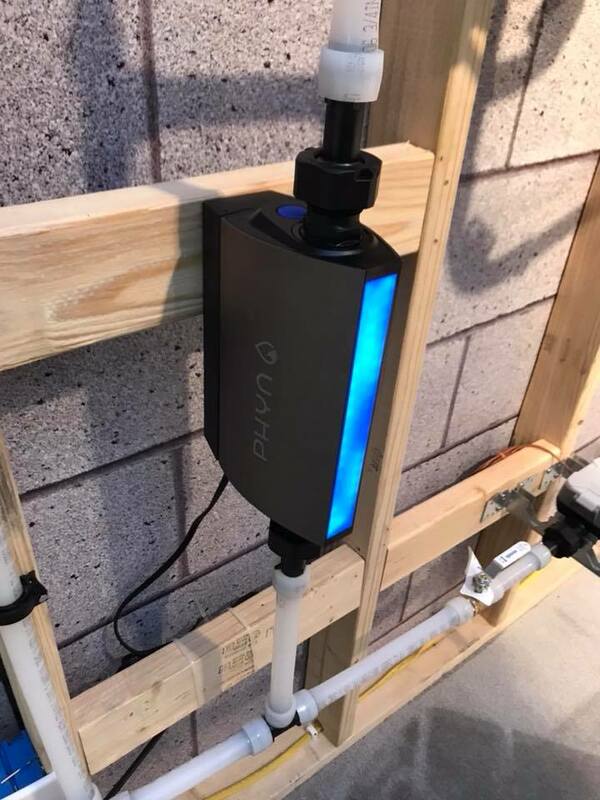 From the moment it is installed, Phyn Plus monitors and measures tiny fluctuations in water pressure to detect and alert homeowners the moment a leak is identified, mitigate costly damage through automatic shut off, and diagnose potential problems in plumbing systems before they become an issue. Phyn’s water sensing technology was initially conceived at the University of Washington and acquired by Belkin almost a decade ago. Since then, countless hours and millions of dollars have gone into the development, testing, and refinement of the Phyn Plus solution. The technology has been refined in the lab and perfected in hundreds of homes. Leveraging the best of Belkin’s Wemo and Linksys platforms, Phyn combines advanced machine learning with the latest pressure sensor technology to provide a simple, safe and most reliable leak detection solution. This product will be available through local plumbers and services.